The Owl's Den: Autumn Blog Party!! Today has been very busy day...actually you could say that about this whole week. Today I woke up went straight to work, ate lunch, met some people for a group project, came home and just continued to work on a debate for class tomorrow. I do have a little bit of time so I thought I would fill you in on this awesome event. Laura has an splendid blog called Blue Eye Night Owl featuring owls, music, photography and all kinds of lovely things. She had a Autumn Blog Party earlier today with some amazing tutorials, projects and giveaways. 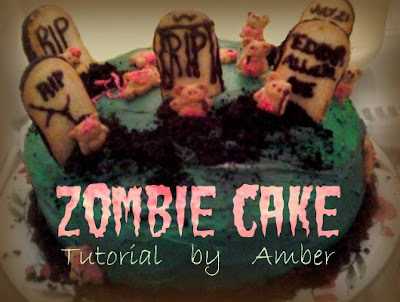 Go over and check out my Zombie Cake tutorial and all the other amazing posts featured today. Sorry I didn't have time to fill you all on this sooner, but I have been so over whelmed with projects. My November calender is basically filled up with working on them plus getting ready for my first craft show so I apologize for my absence and will soon return to normal blogging during my school break.